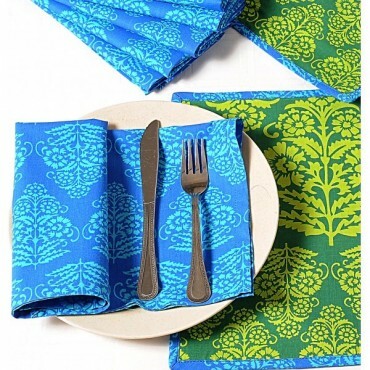 Not only add taste to your food but also style and color through these elegant napkins and table mats. 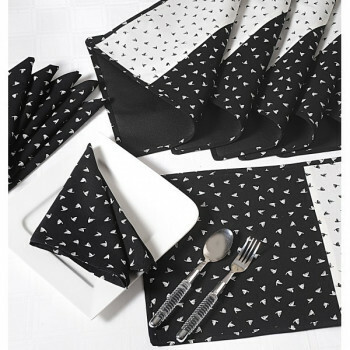 These napkins and mats have been designed to not only make your dining table look alluring but also to protect your previous table cloth from staining. Is your meal always blank even though exotic dishes are laid out, have you ever thought maybe it is so because of your dull surroundings. Why not revamp your supper style completely by introducing your table to these superior looking, aesthetically appealing table mats and napkins. 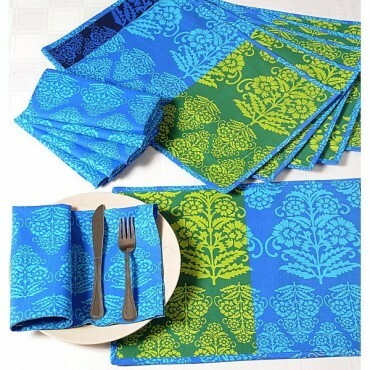 Lay the foundation of a fabulous dining experience as soon as you introduce these napkins and mats to your dining table. Watch how people gaze and appreciate the texture and feel of these napkins as they get ready to feast in. 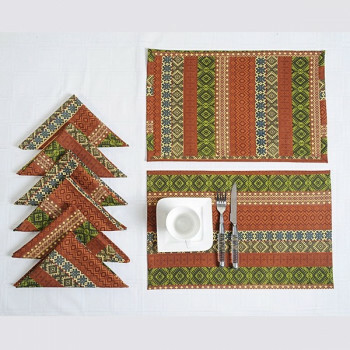 Bring a flavorsome flair to your table as you set your dinnerware over these table mats and accompany them with matching napkins. 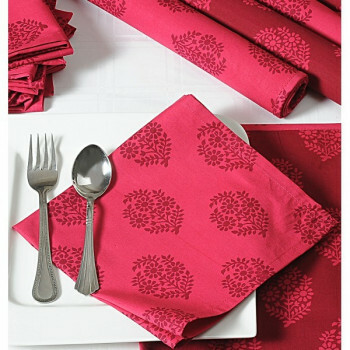 These napkins and table mats not only rate your table high on looks but also protect them from staining as and when your kids and guests are eating over. 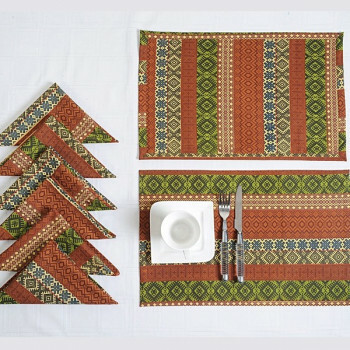 Our dining table completes its dressing only with Dining Table Mats & Cloth Napkins. 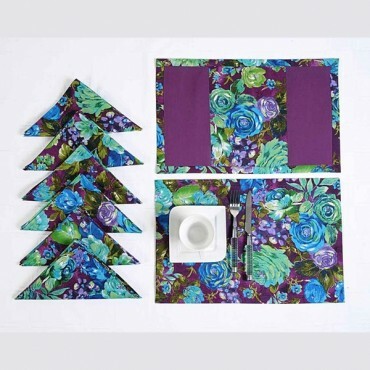 The dining table mats and napkins sets are used to dress the table and also to highlight the sophistication and mannerisms of the family members. 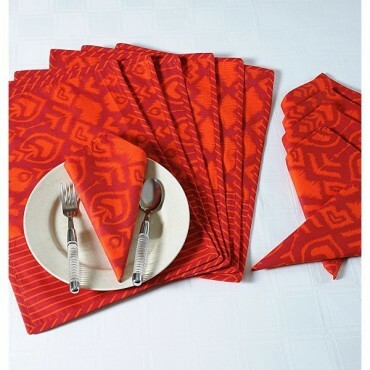 These mats & napkins are made up of premium casement cotton and are also 100% color fast. 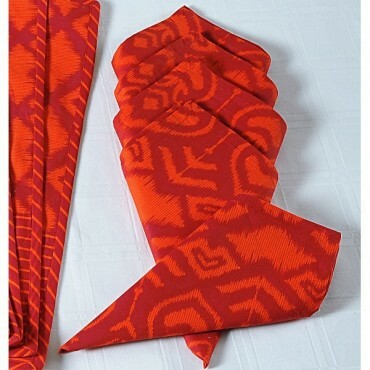 These are machine washable making its usage & maintenance easier. 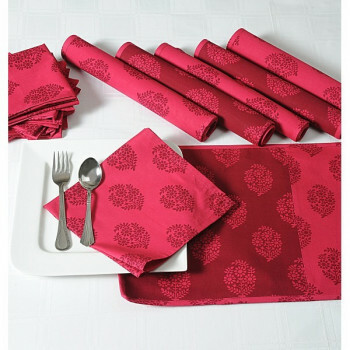 Swayam dining mats & table napkins are available in beautiful prints and colors. A good no. of options is there to choose from. Napkin ringsare also available with the napkin set for creative napkin folding. 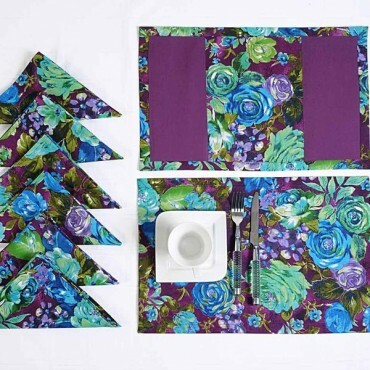 These designer table mats & table napkins are available in a set of 6 only. 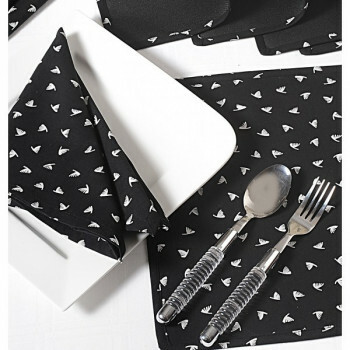 You can buy these dining mats & napkins online at Swayam India.